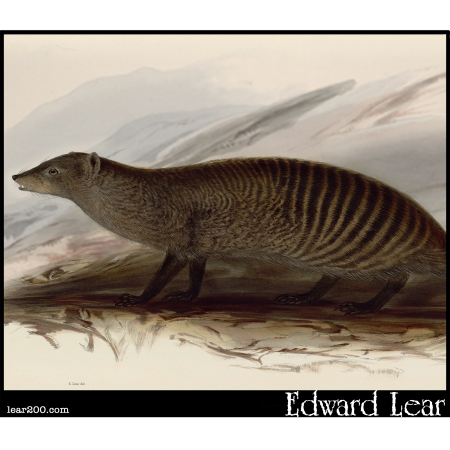 Banded Mungous | Edward Lear: Two Hundred Years of Nonsense! Banded Mungous. (Mungos faciatus.) Now it's spelled "mongoose"; so this is a "Banded Mongoose".